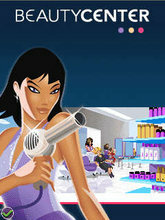 In Beauty Center, you must become the owner of the most fashionable beauty parlour in town. You will have to demonstrate logic and skill as you provide treatments to your clients: shampooing, colouring, etc. You must satisfy their specific demands for hairdos and makeup, build client loyalty and try to attract more clients!